After a tour of a super fancy straw bale house, a group of us met back at Community Greenhouse Partners for a potluck. I brought a first try at a dish — a butternut squash lasagna which was described as: “Ridonculous” and “Mmmm” and “Yes, I would like more”. It’s definitely one that I will be making again. 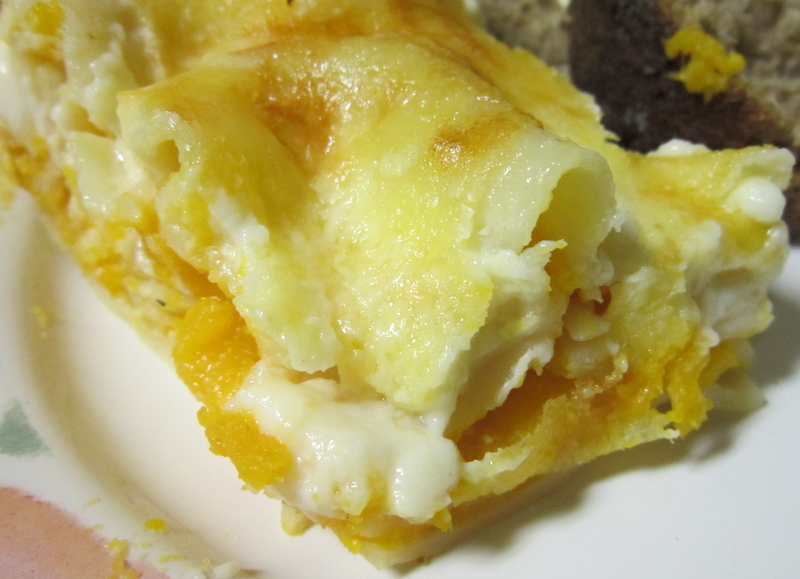 It’s also a good dish for highlighting locally produced foods (vegetables, cheese, milk, butter, flour)! The only ingredient I’m not sure how to get locally is nutmeg — any ideas? 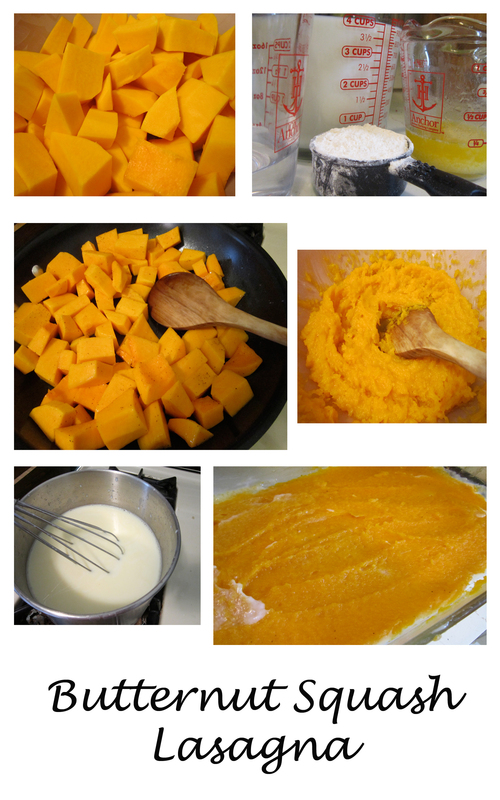 Place the tender squash in a mixing bowl or food processor and mash. Season the mash with salt and pepper to taste. Add the second serving of butter to a medium saucepan and melt over medium heat. Add flour and whisk for 1 minute before gradually whisking in the milk. Bring the mixture to a boil over medium-high heat. After, reduce the heat to medium and simmer until the sauce gets thicker. Whisk often. This should take about 5 minutes. Add the nutmeg and any additional salt and pepper. Heat the oven to 375* and butter a 13 x 9 x 2 glass baking dish. It’s time to assemble! Spread 3/4 cup of the sauce over the baking dish. Cover this with a layer of lasagna noodles. Spread half of the mashed butternut over the noodles. Sprinkle 1/2 cup of mozzarella over this. Drizzle 1/2 cup sauce over the cheese. Repeat the layering once more and finish with a layer of noodles covered only by the white sauce. Cover the dish with foil and bake for 40 minutes. 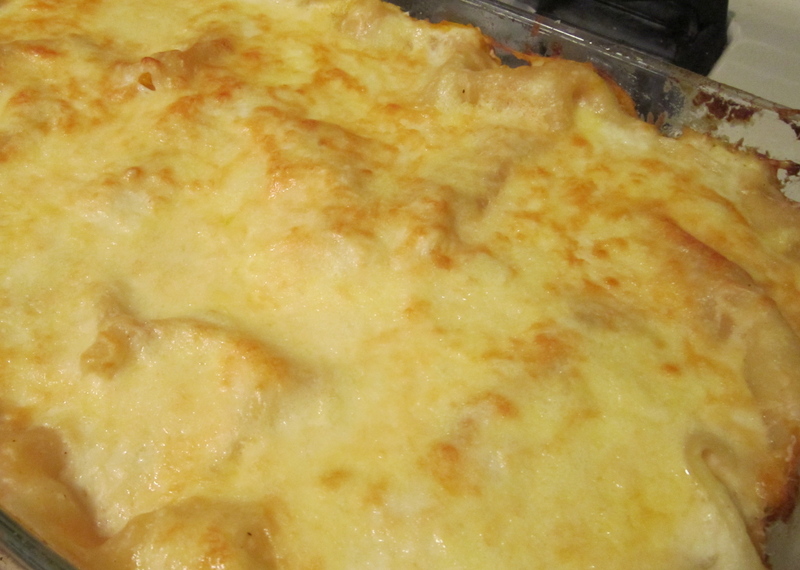 Take the dish out and sprinkle the remaining mozzarella and parmesan cheese over the lasagna. Bake once more for about 15 minutes. You’ll want the sauce to be bubbling and the top to look golden. Let sit for 15 minutes before serving. A delicious way to celebrate fall and natural building with friends! Boy-doughnuts, lasagne. Is Mike getting a belly yet? The lasagne sounds delicious-can’t wait to try it. Would you be able to use the fresh pasta you make in this recipe also? He’s still pretty trim, although a little heartier-looking than when we first met! I think our hiking helps keep the belly away! 🙂 And yes, I was thinking of how awesome it would be to use fresh pasta in this lasagna! I didn’t have time for it this round, but I’ll definitely try that in the future! Hi, I’m Anne from Life on the Funny Farm (http://annesfunnyfarm.blogspot.com), and I’m visiting from the barn hop. Thanks, Nancy! It really is super delicious! I hope you have fun using your squash in this recipe! And thanks for pinning it!